Established in 2001 with a staff of four, McCormack Hardwood Sales started its humble beginnings in the home office of Company Directors and owners, Phil and Jane McCormack. Phil and Jane along with Nick Arfaras and Glenn Lawrenson have many years experiences in the timber industry. After setting up the business from the home office of Phil and Jane, they moved to a small warehouse facility in Clayton. 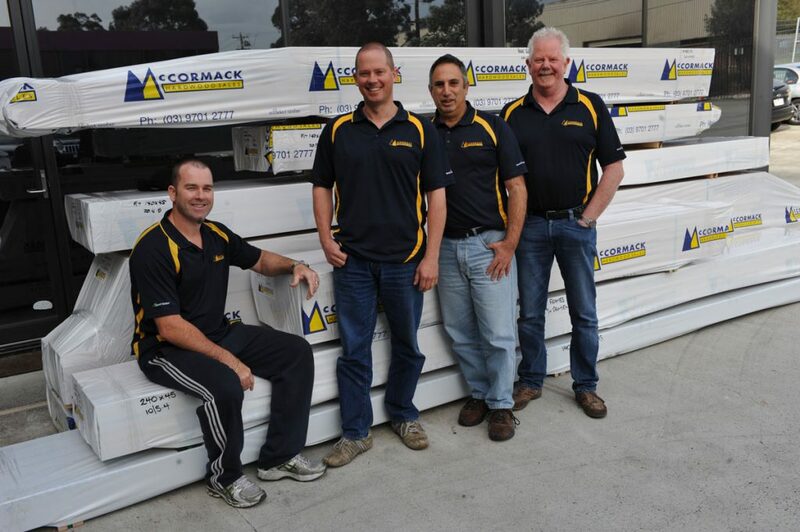 It was in 2006 that McCormack Hardwood Sales moved to a 4285m2 site with a 2850m2 purpose build warehouse in Overseas Drive, Noble Park.